Against Method, by Paul Feyerabend, contains provocative insights into the connectedness of all human abstractions, ideologies, cultures, methodologies, etc… Feyerabend’s arguments are extremely valuable to people of all backgrounds who pursue an understanding of reality. Feyerabend expresses an idea which hints that all human ideologies in the noosphere depend on each other in some way. This universal connectedness therefore indicates that we cannot declare one ideology better than another. In other words there does not exist an objective form of judgement and all people must allow anything that can express itself to express itself, a complete anarchy of ideas. I would add that it is only when institutions or social structures attempt to fight this anarchy that progress, as defined by various definitions, ceases to exist or becomes retarded. I was curious to learn about the Whole-Earth Decompression Dynamics (WEDD) theory developed by J. Marvin Herndon after I discovered that Lynn Margulis had edited and recommended his work several years ago. After purchasing Herndon’s Earth and the Dark Side of Science and reading the foreword by Dorion Sagan, whom I respect as an excellent science writer, I began to see Herndon as a scientist who is attempting to shake the foundations of more than three distinct subject areas – Geoscience, Planetary Sciences, and Nuclear Science. Whether or not you personally think his WEDD theory is right or wrong is irrelevant to the truth. If someone thinks his theory is incorrect, then they can refute the theory with substantive evidence by publishing a paper which details the inconsistencies in logic or facts. But remember, as Feyerabend and Kuhn note repeatedly, facts are always theory laden. Science is not a religion; scientists are not priests who defend a fixed doctrine. Scientists who simply ridicule or resort to name calling are doing a disservice to science in a time when science is being attacked on many fronts – by religions, governments, and corporations. Scientists who forsake truth for tenure, personal prestige or their own beliefs are just as dangerous to science as any external threat. And this does not exclude Herndon himself. As a reader of science subjects, I find the ideas of Herndon to be a fresh and fascinating departure from the status-quo. This is what science is all about, proposing preposterous ideas and then proving them right or wrong. His theory is nothing short of a revolution in the subjects previously mentioned. Even if it turns out to be false, they still provide food for thought and may even perhaps result in a more developed and better understanding of the true nature of natural phenomenon. Even if Herdon’s theory is incorrect regarding the history of our Solar System, his proposed theory is a physical possibility, i.e. there is at least one planet or moon which has had its atmosphere stripped away in the universe. It would therefore be silly not to study the theory. Don’t mathematicians study topics which have no current application? What is the issue with studying situations that did not occur in our Solar System? and then reading his book mentioned earlier (his book also contains this paper, among others). For a list of his papers – J. Marvin Herdon on arXiv.org. Being a huge fan of Carl Sagan’s books, I was delightfully surprised when I found that his son, Dorion Sagan, is a prolific writer on the subjects of science, philosophy, and evolution. The first of his works which I decided to read is entitled Cosmic Apprentice: Dispatches from the Edges of Science. For a good review see Maria Popova’s review here. 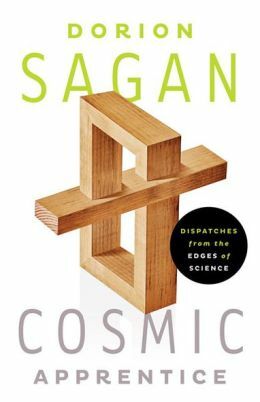 I loved reading the book and I look forward to reading more of Sagan’s writings. 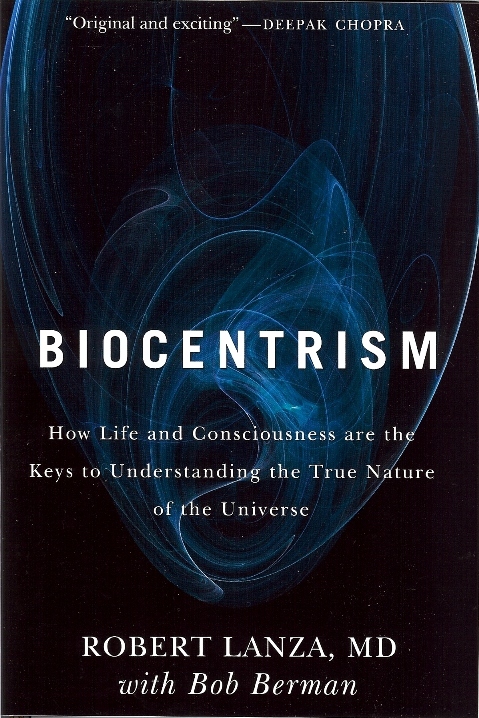 I recently finished Robert Lanza’s book, Biocentrism: How Life and Consciousness are the Keys to Understanding the True Nature of the Universe. While understanding the true nature of the universe is a bold claim, I think there is validity to the perspective of biocentrism based on my own experiences and knowledge. The book kept me thinking and my head spinning. My mind constantly wondered, thinking about the consequences and possible applications of the principles of biocentrism.